The Weslie in 2 sentences: The Weslie is a small, borderline secretive community that features dramatic two and three story condos with unbelievable views of the nation’s capital. Condominiums at The Weslie rarely hit the open market for sale and when they do, it is a fantastic opportunity for those with the necessary means to join an exclusive community. Do not let this nondescript high-rise building fool you. Although the exterior of The Weslie is reminiscent of the now passé 1980’s Arlington architecture, the community is a true gem among the bevy of living options in the Rosslyn area. 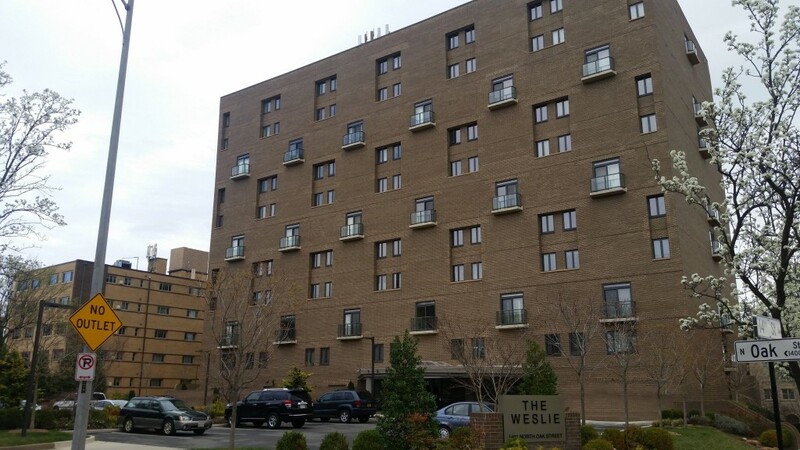 Built in 1981, The Weslie is 10 stories tall but contains just 41 units. It was built with 42 residences but a few condos have been combined to create large residences. The units are spacious to begin with, making the double combined living spaces even more impressive. Condos at The Weslie are known for their dramatic living spaces, floor-to-ceiling windows, and tall ceilings. Floor plans are 2 or 3 levels with the main level perfect for entertaining. The great room will lead out to either a large outdoor patio or the coveted monument-facing balcony. The views at The Weslie are uncompromising. The views are permanent and only available to a select few buildings. But do not compare The Weslie Arlington VA to any other building. It is unlike any you will see. It is not Prospect House. It is not The Atrium. What is unique about The Weslie is that when owners move into their unit, they almost always put in tremendous renovations to fit they specific needs. Not to say that work will need to be done, but the character and uniqueness that you will find at The Weslie is unmatched. The community is secretive and exclusive. There is a certain ambiance about The Weslie that cannot be duplicated. Residents move here for the quiet lifestyle, to live without the spotlight on them, and to enjoy one of the most coveted condo locations in Arlington. Throughout it’s existence, The Weslie Arlington VA has had some notable names call 1401 N Oak home. At one point in the 1990’s, Forrest Mars Jr lived in the community. Mars is most notable for being the grandson of Frank Mars, the founder of Mars, Incorporated. Bloomberg ranked Mars Jr the 31st richest person in the world in 2012 with an estimated net worth of $20.1 billion. Mars Jr sold his 9th level penthouse in 2002. But perhaps the most notable figure to live in The Weslie is Charles (Charlie) Wilson. Wilson was a politician most known for his role during the Solviet-Afghan War in the early 1980’s. Wilson’s exploits were detailed in the 2007 movie Charlie Wilson’s War starring Tom Hanks. The Weslie was filmed in multiple scenes in the movie. 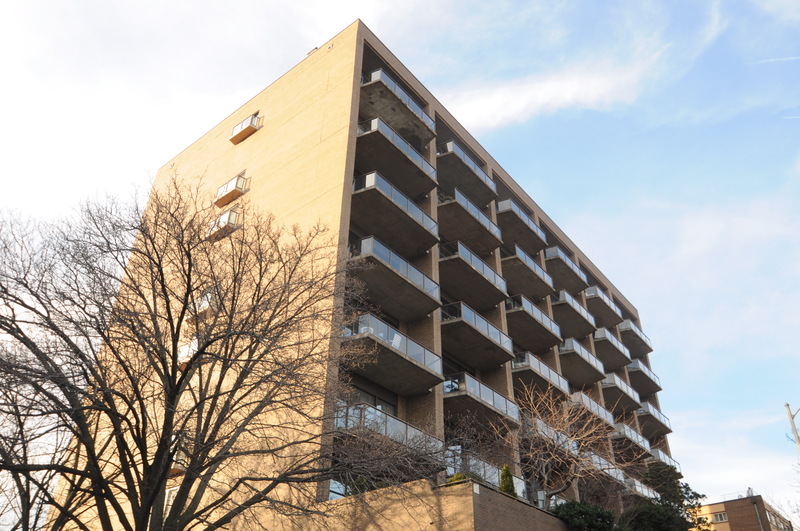 Wilson bought his 9th floor unit in 1981 and it was sold 24 years later in 2005. Rumor has it that Wilson renovated his living room to put a hot tub in the middle of the room. If you are propitious enough to be considering The Weslie Arlington VA, you are buying into tradition, elegance, and secrecy. You are joining an exclusive club. And if a unit is not bought by a neighbor and hits the open market, you might be lucky enough to step foot inside this community.